I recently watched a webinar hosted by lean thinker Joe Murli. The session focused on Visual Management and leadership standard work. Joe introduced me to a concept called “Pulse Points”. After you implement and debug a Lean system like a supermarket, FIFO lane or Heijunka box, you’ll need to implement a layered audit to make sure the system stays working. The pulse points are physical spots in your value stream where you can see if the systems you have implemented are being sustained. I’m guessing they are called pulse points because they determine whether you’re value stream is still alive and kicking. 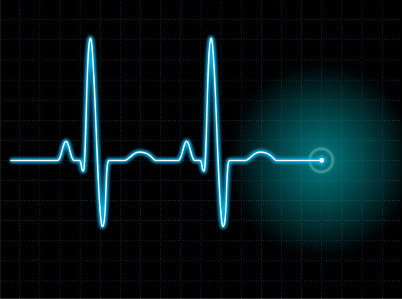 The value stream leader should have a pulse point walk that he makes on some set frequency. The order of the stops on the walk doesn’t have to match up with the flow of the product – you just take the shortest path through the shop and cover all the pulse points. At each pulse point, the auditor has a question they need to ask themselves – i.e. if they are at a supermarket, “Are the min/max being adhered to?” If the answer is no, then the Act phase of PDCA needs to kick in. Leader Standard Work can be a great methodology. Pulse points are the same thing that we call Control Points - they are the elements that impact the system as inputs, that generate the right outputs. However, leader standard work has to be done right. It's more than creating checklists. Even when done right, it takes at least a month to get used to and not everyone has that patience. If you get it wrong, it will take longer. Thanks Jamie - appreciate the insight.